I just finished three weeks holiday at home in which I devoted a lot of time in writing a brochure on the life and paper cutting work of my great-grandfather Bram Bosch, who was a skipper on a boat doing inland transport all his life (1865-1943). So far I completed 44 pages with text and some 25 of his paper cuttings. It will be published later this year by the W. Tj. Lever Foundation. Mr. Lever was the most famous among the Dutch artists who do paper cuttings. 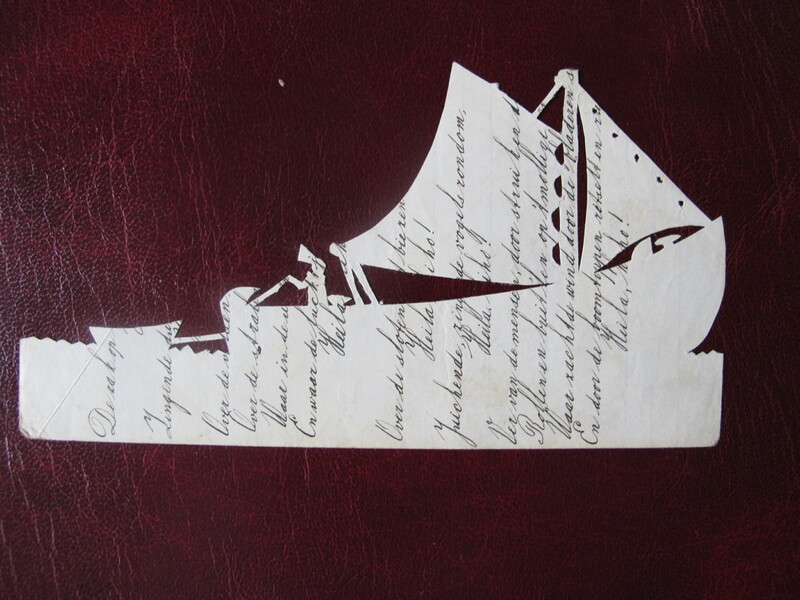 Here is an example of his style, a boat cut from a letter. For a preview on other interesting paper cuttings of my great grandfather look at my new web site that I am experimenting with on my Mac. You are currently browsing the Dutch Indian Heritage blog archives for January, 2011.